Posted April 15, 2015 & filed under Visit Rehoboth Beach. Every time we have someone stay with us here at Atlantic View Hotel, we always get asked the same question: Are there any good restaurants that you would recommend? Cultured Pearl – A definite must during the warmer summer months where outdoor patio sitting is an option. 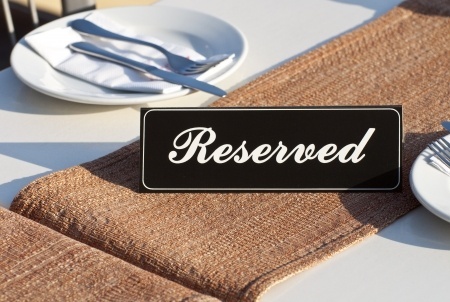 Just be sure to request an outdoor seat upon calling for your reservations! If you’re looking for a unique setting and some pretty out of this world sushi, you’ll definitely want to give Cultured Pearl a try during your next visit to Rehoboth Beach. The Kazan roll, Spicy Maki and Pom Queen cocktail are all great options to look into. Just don’t forget to ask your waiter for a Sake recommendation! Dogfish Head – Yes, the crowd favorite. You can’t really visit Rehoboth Beach without visiting Dogfish Head; it just wouldn’t be right! Stop in for a bite after taking one of the famous brewery tours. While there are a few large plate options to choose from, this place is dedicated to simple pub fare to complement their delicious, off-centered beers. Aside from a number of finger foods to pick at, choose from a tasty selection of sandwiches pizzas and more in this incredible fun atmosphere. 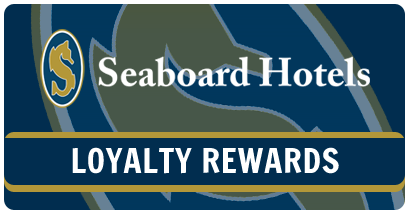 Henlopen Oyster House – While there is certainly no shortage of seafood joints in this particular region, if it’s oysters that you’re craving, Henlopen Oyster House has to be your #1 stop. You’ll have a wide variety of oysters from all over to choose from, and they’re constantly adding new ones to the list. Don’t be afraid to explore the rest of the menu though! There are plenty of incredible options to choose from and the portions are always generous! Salt Air – Right next door to Henlopen Oyster House is this awesome farm-to-table restaurant. As a self-proclaimed “picnic on the beach,” Salt Air serves up delicious meals using only the freshest ingredients in a relaxed-yet-upscale atmosphere. The parmesan flatbread with goat cheese spread will command your daydreams well after your visit, and you’ll find that the Eastern Shore Crab Cakes and the Famous Shrimp Fry are just a couple of the most talked about items on the menu. However, when it comes to any of Salt Air’s main dishes, you truly can’t go wrong. Summer House – If you can get in on a Monday, do yourself a favor as it’s half-priced burger day from 11:30am-9:30pm. With a deal like this, Summer House can get pretty packed, but trust us when we say it’s worth it. Other than that, the White Chicken Chili, some Fresh Sautéed Shrimp and Scallops, and (of course) the Crab Cakes would be amongst just a few of our recommendations. Well there you have it; our top 5 must-try restaurants in Rehoboth. Makes your mouth water just thinking about it, doesn’t it? So what are you waiting for? Book your stay with us today and sample some of our favorites for yourself!